9:10 - 10:10 L. Horsten, Structuralism for Set Theory? 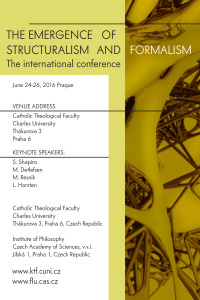 10:45 - 11:15 L. Kvasz, Structuralism as a Philosophy of Mathematics – What it is about? Institute of Philosophy, Czech Academy of Sciences, v.v.i. On the common view, mathematics is a theoretical discipline whose subject matter is quantity. But this traditional conception is defied by the fact that mathematicians hardly speak of the subject of their enquiry. Their way of speaking is rather of a practical nature: they produce diagrams or chains of symbols. They therefore act not as theorists, who contemplate the subject of their study, but rather as technicians, who produce something. Since Plato, philosophers have been disputing what attitude to take in respect of this contradiction. Looking over the history of these discussions, two possible solutions can be distinguished. Representatives of one (e.g. some scholastics) had let themselves be “seduced” by mathematical practice and therefore classified their discipline as a mere art. Representatives of the other (e.g. adherents of modern science) emphasised the uniqueness of mathematics and assigned a distinctly theoretical status to it. Important incentives to solving the dilemma can be encountered in the 19th century. At that time mathematics was transformed and is sometimes said to have been founded anew. From our point of view it is especially significant that these discoveries were reflected by a transformation of mathematical practice. Intuition was gradually abandoned and was replaced by mere manipulation with symbols, with which it was very difficult to associate a meaning. This process of “expelling intuition” from mathematics confirmed earlier tendencies, according to which mathematics has no subject matter and is therefore in a certain sense a technique. We believe that discussions on the nature of mathematics in the 19th and 20th century can be fruitfully understood, if we view them from the perspective of the two approaches to its nature described above. For there again crystalizes a current of views according to which mathematics studies a certain subject matter, and is therefore a theoretical discipline in the traditional sense of the word, and alongside it a current emphasizing its non-intuitive practice, according to which mathematics is a kind of technique. Our conference will focus on how the nature of mathematics is regarded by representatives of formalism and structuralism. On the one hand, these two currents have much in common (they both agree that mathematics is not intuitive). On the other hand, they differ precisely in how they approach the problem whether mathematics does or does not have subject matter. Formalists reduce mathematics to mere manipulation with signs, thereby giving rise to the appearance that on their view mathematics cannot have any subject matter, while many structuralists admit objective grounding of mathematics and thereby return to the traditional theoretical conception of science. We divide the problems we wish to address at the conference into historical ones and systematic ones. In the first thematic area we will ask what earlier trends formalism and structuralism follow up on, how these current were constituted, and how they eventually became respected philosophical positions. 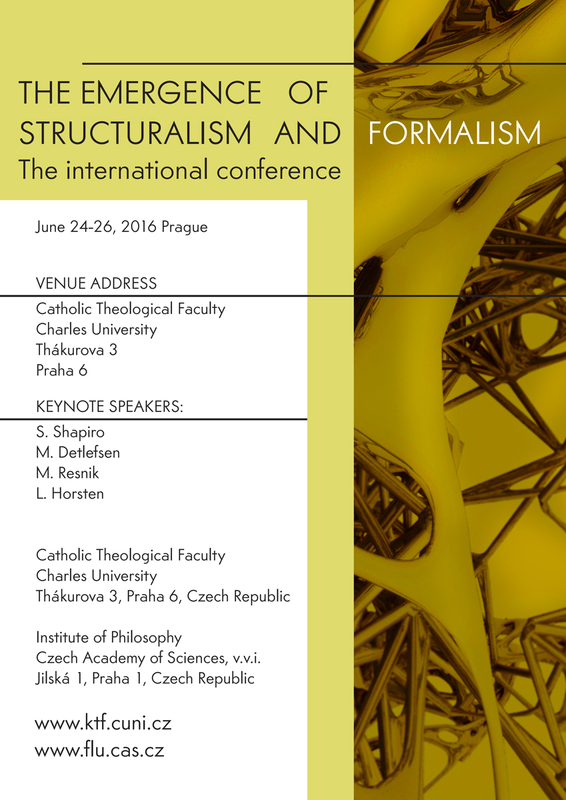 In the second area we will welcome reflections addressing the relationship between formalism and structuralism (similarities and dissimilarities), and further also solutions to some contemporary problems associated with these two approaches.